Joseph’s main area of practice relates to the purchase, sale, and financing of commercial real property. He has practiced in this area for 50 years. He also has practiced in the area of estate planning and probate and trust administration, and has assisted with estate and trust litigation. 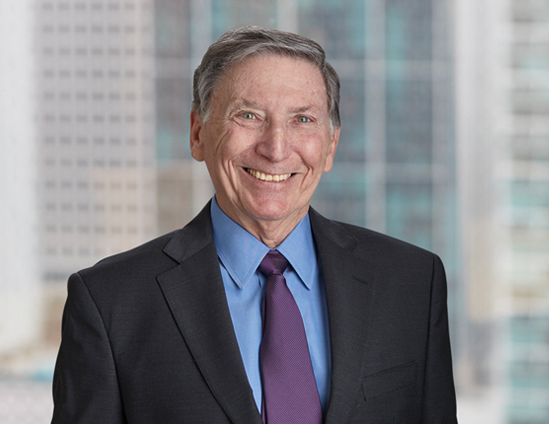 Joe has served as the Chairman of the Florida Bar Real Estate Certification Committee and is a member of the Broward County Real Estate Council. He also is a member of the Real Property, Probate and Trust Law Section of the Florida Bar, for which he has lectured at continuing legal education seminars. A Florida native, Joe has been active in community activities and with various charities. He has served as President of the South Broward Bar Association and on the Board of Directors of the Broward County Bar.